It’s a reminder of 1960s radicalism, the evolution of life and how priorities can muddy up youthful indiscretions. 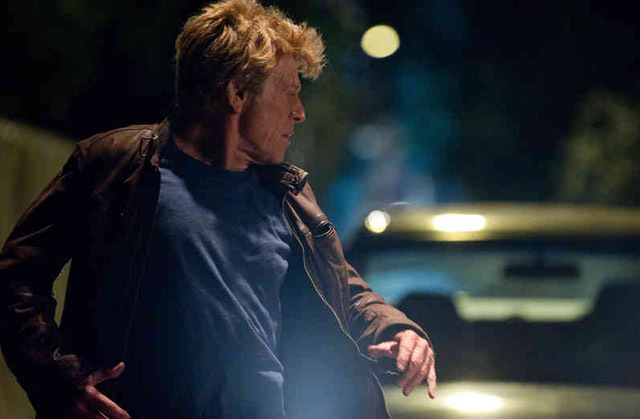 It unfortunately creates a somewhat melodramatic and difficult to believe chase thriller along the way, but there is also that passion, the underlying need by communicators like Redford to make films that matter, about subjects that should give pause in the current U.S. political landscape. This film is worth seeing, if only to honor and remember the boomer generation that stopped an unjust war, and then was destined like all of us to see their advocacy become lost in the mists of that thing called real life. Jim Grant (Redford) is a respected lawyer and widower with a young daughter in Albany, New York. His world is shattered when an ex-member of the radical Weather Underground movement of the 1960s, Sharon Solarz (Susan Sarandon), is arrested by the FBI and charged with the murder of a bank guard during a group political robbery in the early 1970s. Grant was part of that movement when he was named Nick Sloan, and he also has been on the run since those days. The FBI is on the hunt, led by Agent Cornelius (Terrence Howard) and his young protege Diana (Anna Kendrick). When Ben Shepard (Shia LaBeouf), a young Albany newspaper reporter, starts sniffing on the trail, Nick Sloan realizes he needs to disappear again. He reacts methodically, using another identity to get back on the run, and drops his daughter off with his brother Daniel (Chris Cooper). Using a network that includes his old friend Donal (Nick Nolte), Sloan seeks another member of the Underground, Mimi Lurie (Julie Christie), who may have the truth that will set free the fugitive radicals.